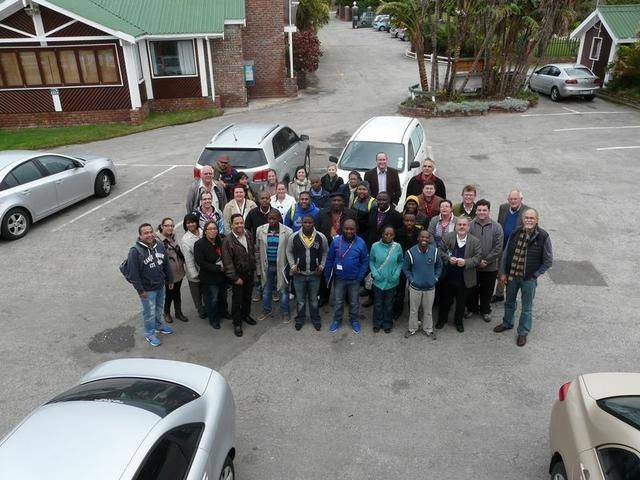 The SAULCA Winter Workshop of 2014 was held from 8-11 July in Muldersdrift. No Planning Committee was appointed for the workshop as each executive member took part in the planning process. The planning was conducted via e-mail and telephone conferences. The 2017 SAULCA Conference was held at the Amanzingwe Lodge, Broerderstroom from 10 – 13 July 2017. The theme of the workshop was on The transformative role of a law clinician in 2017. The workshop consisted of two parts the SAULCA workshop and the Annual General Meeting. The annual general meeting took place the morning of the 13th of July 2017 (day 3 of the workshop) after all the delegates were welcomed by the president, Mr. Shamiel Jassiem. The minutes of the previous AGM held on 8 July 2015, the President’s Report, the Secretary’s Report and the Treasurer’s Report were approved by the members. Mr. Nelis Coetzee, the appointed accounting officer of SAULCA, gave a report on the financial position of SAULCA and the progress made thus far with regards to the registration of SAULCA as a Non-Profit Organisation, including the necessary application for tax exemption. He reported that the funds were spent wisely and his report was received and approved by the members. The outgoing members of the executive committee were thanked for their invaluable leadership, contributions and hard work during their respective terms. The newly elected President thanked the members and the meeting was adjourned. Delegates arrived at Amanzingwe Lodge on 10 July 2017. 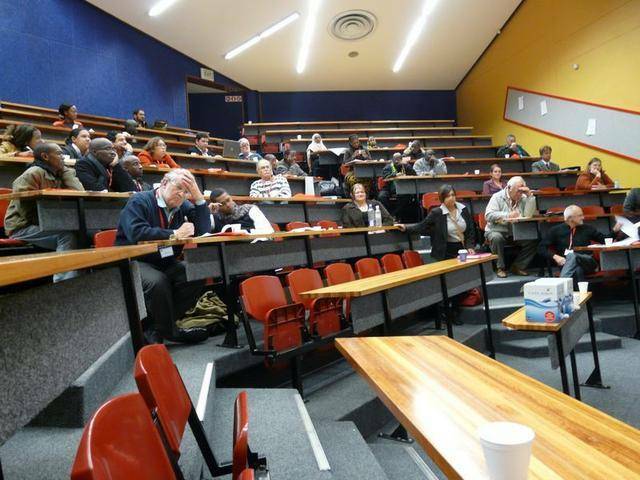 After registration, welcome and a short icebreaker, delegates attended the first session of the workshop led by guest speaker Professor Paulus Zulu (University of KwaZulu-Natal) on the topic of Transformation and Decolonisation of the Curriculum. During Prof. Zulu’s presentation he started off indicating that although there is a relationship between transformation and decolonisation, there is no inherent association or overlap between the two concepts. He therefore discussed the concepts separately and concluded that decolonisation is a political rather than a curriculum issue. Prof. Zulu’s workshop / conference paper is attached hereto as Annexure A. After the presentation by Professor Zulu delegates broke away into different groups to discuss on What does transformative decolonisation of the curriculum mean in a law clinic context? Thereafter the groups came back to give feedback on their discussion and to receive comments on the guest speaker’s presentation. The majority of the delegates agreed that the concepts of transformation and decolonisation should be viewed separately. It was also agreed that the curriculum cannot be transformed, but that it can be reformed. In other words, that the content should remain the same, but that the teaching method should be adjusted. Decolonisation or transformation should thus take place in the methodology. The focus of a Law Clinic is to transfer skills in order to produce a competent, ethical and thinking attorney. Essential outcomes in this regard would be to transfer the following skills and values: practice management skills, client consultation skills, written communication and drafting skills, research skills, legal analytical and problem-solving skills, file management skills, office management skills, as well as inculcation of ethical values and values based on justice. Each of these needs to be unpacked to determine whether it can be transformed, contextualised, decolonised, etc. It was also pointed out that clinical legal education already have a social justice mission and aim. Social justice needs to be embedded in all modules within the curriculum. When we teach we should consider areas of practice that may not be traditionally taught, for example ADR, mediation, etc. This can influence the way in which students approach matters in the future to that of a problem solving mind set. We should also include culturally sensitive examples to create awareness of cultural diversity or examples specific to the South African context (including the historical context) when teaching legal practice. The examples used must be phrased in simple language. This will expose students to real issues affecting people at grass roots level, thereby creating social awareness. It was argued that the term “decolonisation” should rather be replaced with “contextualisation” or “South Africanisation”. The majority of the delegates indicated that SAULCA’s slogan is still relevant. 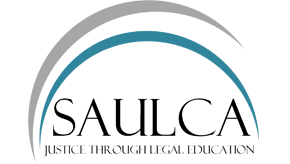 Some suggested that the slogan should be revisited as some clinics do access to justice projects separately from clinical legal education. Some also experience difficulty to implement clinical legal education for example in an open-distance learning space. Suggestions were made to look at a revised slogan for example: “From legal education to justice education”. Majority of the delegates indicated that the vision of SAULCA is still relevant and well formulated. It is noted that some delegates proposed that it should perhaps read: “… to promote excellence in access to justice through clinical legal education”. This suggestion should be viewed in the broader perspective taking into account the concerns raised at item (a) above. With regards to mission 3.1 delegates agreed that the mission statement is still relevant. Concerns were raised regarding the high turnover of staff and how to transfer knowledge gained and issues discussed during the conference with the rest of the staff of the law clinic. The promotion of clinical legal education is still relevant to lobby support from faculties and to promote the involvement of faculties with the law clinics. It was also suggested that clinics should find ways to reach borderline clients who do not qualify in terms of a means test. This can for instance be done through alternative dispute resolution. 4.5 Foster and encourage values of integrity, professionalism and dedication to human rights within the legal profession. The majority of the delegates agreed that the provision of program support to the members of SAULCA is still relevant and necessary. It was however unclear to some groups how SAULCA provides financial support to its members. Some were under the incorrect impression that SAULCA, instead of the AULAI Trust, funds access to justice projects to some law clinics. 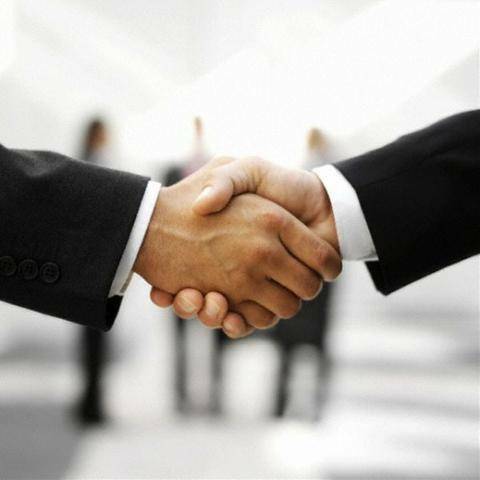 Some suggested that SAULCA can assist members to draft funding applications and applications to enter into cooperation agreements. With regards to objective 4.2 of SAULCA it was agreed that this objective is relevant and in actual fact non-negotiable as it is the core work of our members. Some delegates suggested that clear guidelines or standards needs to be agreed upon in order to measure the quality of work being done. In this regard the SAULCA executive should re-circulate the already agreed upon guidelines as drafted and submitted to, inter alia, the Attorneys Fidelity Fund. The majority of delegates agreed that objective 4.3 is still relevant and that SAULCA can encourage members to promote social justice. In this regard it was suggested that SAULCA encourage members to do impact litigation in areas identified where we can make a difference. Some suggestions on how SAULCA can assist members to promote social justice include the provision of resources, mostly by hosting these type of workshops and making information available to its members, whether via electronic alerts, social media or newsletters. Concerns were raised by some clinics that borderline clients do not receive access to justice. These client do not qualify in terms of the means test, but can also not afford the services of a private legal practitioner. It is suggested that clinics be allowed to exercise their discretion to assist these clients. It was also suggested that the concept of social justice be standardised and communicated with students. Some suggested that students should be exposed more to court experiences. The feedback received with regards to objective 4.4 indicates that some members were confused as to how SAULCA provides legal services to the indigent. It was suggested by one group that this objective should be removed. Another group suggested that the wording be amended to read: “4.4 Provides legal services to the indigent through its members”. It was also suggested that the use of the term indigent should be revisited as circumstances have changed and border line clients need access to justice as much as the indigent. The majority of the delegates agreed that objective 4.5 is still relevant. It was suggested that the wording be amended to read as follows: “4.5 Foster and encourage values of integrity, ethical practice, professionalism and dedication to human rights”. The size of the executive committee as indicated in the SAULCA Constitution was questioned. During these discussions concerns were raised with regards to the nomination process for the executive committee of SAULCA. In this instance it was mentioned that new clinicians often do not know any other clinicians and as a result do not nominate any person. It was suggested that SAULCA investigate methods to introduce clinicians to these new clinicians before the election process. It was concluded that there is a gap between theory and issues faced by students in practice. The majority of the delegates agreed that ethics should be embedded throughout the curriculum and not only be offered as a stand-alone course. Furthermore that law clinics should not be responsible to teach the theory of ethics, but rather the practical application thereof. Clinicians therefore have to familiarise themselves with the theory of ethics and lead by example to instil ethical values in our students. It was suggested that behavioural ethics be introduced at law clinics to teach students how to address their own vulnerabilities and to adjust their behaviour in certain circumstances. During these discussions delegates agreed that live-clients does not always present the best learning opportunities to students. Ethical lessons may not be present in that specific case the student is working on. The majority agreed that simulations is the best teaching method to teach professional responsibility and ethics. It was also agreed that blended learning, where staff and students have access to the relevant resources, could be useful in this regard and it may lead to an increase the collaboration between clinics. The day ended with a team building exercise lead by Ms. Delecia Adams (University of the Western Cape), Mr. Frikkie Grobler (University of Pretoria), Mr. Sakkie Muller (University of the Free State) and Mrs. Varni Moodley (University of Cape Town) and a Juta Law and Company sponsored braai during the evening. Day three started off with a presentation by Mrs. Varni Moodley (University of Cape Town) on the topic of challenges of clinics and clinicians within the present university context, including the #feesmustfall, transformation of the institutions, staff, student demographics and curricula. During the presentation a number of general challenges were raised and the majority of the delegates agreed that these are relevant. This included the high ratio of supervisor:student, escalation of number of students and a lack of understanding of the impact this have on the quality of education, staff retiontion, lack of clear career path and milestones, academic staff with publication requirements don’t have enough time to do so, insufficient resources, etc. Clinics could not access their client files. Could not access post and as a result did not receive service of notices and pleading. Clinics could not assist students that were arrested due to conflict of interest. Academic programme was disrupted resulting in less contact time with students. At some clinics the result of the protest action led to the appointment of more permanent staff and an increase in salaries of candidate legal practitioners. Risked the safety of staff and students. Off-campus law clinics did not experience any issues. The majority of the delegates agreed that each law clinic should have a strategy in place should protest action lead to the disruption of the law clinics work. This strategy could include alternative off-campus offices and emergency resources for the duration of the protest action. It was suggested that alternative dispute resolution or mediation can be used to assist students and the university to come to a solution. It was also suggested that each clinic should investigate the viability of an electronic filing system such as the one Legal Aid SA has. Some delegates suggested that we are in the academic environment involved with teaching and learning and as such should be appointed as academic staff. 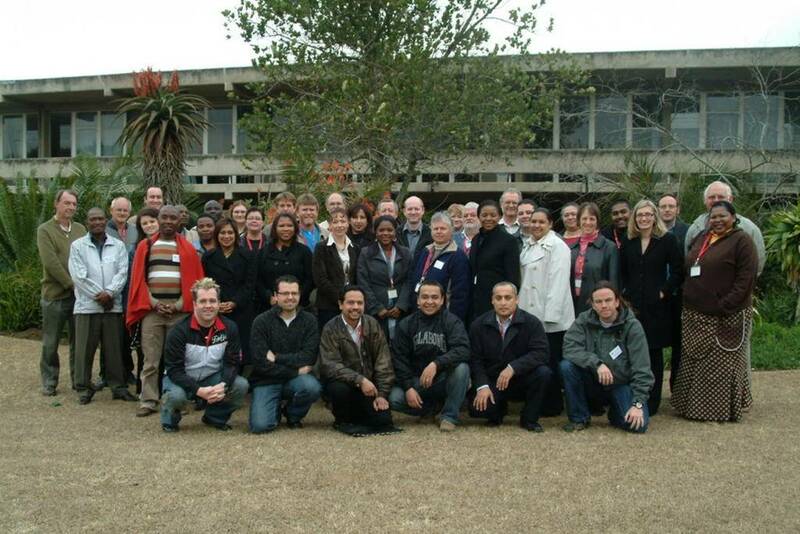 Those appointed as academic staff indicated the time constraints experienced. This includes pressure to teach, supervise, publish, etc. Some faculties fail to understand that the clinic never stops. The career path possibilities for clinicians appointed as support staff is very limited. We do research for court cases but this is not publishable. Our research output must be measured in a different manner and research assistance should be discussed with faculties. Outreach workshops about basic rights to students, school pupils and the community. After the group discussions, the Annual General Meeting of SAULCA was held as discussed in item 2.1 hereof. Prof. Jonathan Campbell (Rhodes University) generously offered his assistance to compile a draft discussion document summarising the outcomes of this workshop. This report was delivered to the delegates on the last day of the workshop. The report is attached hereto as Annexure B.
Prof. Campbell also provided the delegates with a list of examples of pro-active ideas aimed at giving substance to the notion of decolonising of the curriculum. The list with ideas is attached hereto as Annexure C.
It was proposed that we do not refer to any particular subject within the final report. The common purpose of law clinics and the pedagogy of clinical legal education needs to be specifically mentioned, including that we aim to prepare students for practice, to impart practical skills and allow for experiential learning to take place. Issues of governance and the representivity of the different regions should be incorporated in the final document. Student demographics should be mentioned. Reference should be made to the proposed amendments to the slogan of SAULCA. It was agreed that additional written inputs should be sent to Mr. Simon Rasikhalela (North West University, Mafikeng Campus) for collation. To date no additional inputs were received. The workshop concluded with the adoption of Annexure B as a working document of SAULCA. The theme of the discussion as phrased: “Transformative Decolonisation of the Curriculum” raises a specific problematic. It collapses the outcomes of transformation and those of decolonisation into one product as if there was a one to one correlation between the two different concepts; i.e. transformation and decolonisation. My postulation is that while, theoretically, there is a relationship between transformation and decolonisation, there is no inherent association or overlap between the two essentially because transformation does not necessarily entail decolonisation, while decolonisation may or may not have transformation attributes. In the process of decolonisation one might transform some substantive and methodological aspects of the curriculum, but transformation on its own is independent of decolonisation. Given this as the starting point, I shall proceed to treat the two concepts and their resultant processes and outcomes independently. I have, therefore, entitled this presentation “Transformation and decolonisation of the Curriculum.” Secondly, the curriculum variables, i.e. what gets taught, which is the substantive dimension is a policy statement, and how it is taught constitutes the methodological dimension. An example in this instance is when Bantu Education was introduced in South Africa. The syllabi were adapted from the conventional ones with some aspects removed, and the language of instruction was prescribed, hence a non-transformative process of decolonisation and recolonization. We have to draw a distinction between transformation and reform, if so one might ask if the curriculum as syllabi is transformable, or aspects of the curriculum may be mediated. The substance and the methodology in teaching and learning comprise the epistemological decision and herein lies the point of controversy because, given the power relations inherent in knowledge production, epistemology and the sociology of knowledge may collapse into one. There is a clear distinction between epistemology which is the theory of knowledge dealing with facts and facticity; i.e. conditions necessary for the acceptance of facts as facts which, which on interpretation, comprise knowledge; and the sociology of knowledge which takes into account that knowledge is socially constructed. The way we attribute facticity to facts, i.e. the interpretation, is mediated by our experiences both historical and current. Karl Mannheim maintains that the world is not given to us simply by our senses – we interpret it, through lenses based on culture, position, interest and ideology (Mannheim: Ideology and Utopia). This presentation, therefore, proffers that epistemology per se is a neutral concept while the sociology of knowledge is applied epistemology paraded as real and here lies the problem. What then do we decolonise in the curriculum in order to transform it? Departing from the postulates and positions presented in these two paragraphs let us deal first with curriculum transformation. Participation in the curriculum is a function of two factors: accessibility and affordability. While accessibility is a complicated process, affordability is resource-based and can be solved through the funding process to procure appropriate resources. Accessibility takes two dimensions: the environmental and the linguistic. Participants on the curriculum require a conducive learning environment, physically and culturally. It is of little use if the educational system has all the material resources – libraries, laboratories and equipment if the teaching and learning environment is riddled with a negative or poor culture of teaching and learning expressed in poor leadership, a highly politicised culture and a bad organisational management. Also, the organisation has to exist within an environment free of obstacles such as crime, anarchy, a poor work ethic, ill-discipline and licentiousness where there are no sanctions against deviance from the norms. Language presents a contentious variable especially in an environment where the politics of language collapses the distinction between patriotism and educational soundness. While there is universal educational soundness in the use of mother tongue as a medium of instruction, in post-colonial societies the absence of conceptual equivalents in mother tongue in some disciplines has led to disagreement regarding the appropriateness of the use of mother tongue as translations do not necessarily carry the nuances in the concepts. It the case of the latter the submission is that what is transmitted to the recipient is a weak version of the original. Where the curriculum meets all or most of the conditions of accessibility and affordability, we can speak of a transformed curriculum with regard to variable number one. Structure and organisation refer to the arrangements and management of the curriculum. Issues such as the number of subjects, courses or modules as the case may be, together with the progression and assessment systems fall within this rubric. Structure and organisation of the curriculum are probably the least contentious aspects with regard to transformation. Content and methodology constitute the most contentious variables in the curriculum hence are the focus in curriculum transformation; and in the current discourses in South African education this is the domain of decolonisation and the attendant conceptions of Africanisation, Indigenous Knowledge Systems, internationalisation and endogenisation. What compounds the controversy are the existential experiences of colonialism and apartheid by the colonised giving rise to the propensity to attribute intention or motivation to action irrespective of the state of consciousness in the source. For instance, to cite parallel cases, missionaries are accused of deliberate collaboration with colonisers. It is very probable as is demonstrated in a number of cases that the driving motive of missionary work was a sincere belief in Christianity as the uniting force between humanity and the Creator. If that statement is acceptable, it is equally probable that the curriculum is more of a function of paradigms constrained by the sociology of knowledge than a deliberate attempt by the conqueror to use it as a mechanism of subjugation. Conversely, both forms of accusations could be correct. However, that debate should not constrain us in seeking solutions to the curriculum dilemma, assuming there is one. Much of this will come in the following sections. The relevance in the curriculum is determined by three factors: the first is heuristic and relates to the importance and beauty of knowledge for its own sake. In almost all societies knowledge brings prestige. Membership in a debating society is a prestigious location and the professoriate takes pride in the number of publications and consequently citations attributed to their articles. The second consideration is instrumental or utilitarian, as curriculum-based credentials enhance opportunities in the market place. Thirdly the curriculum is a tool in problem solving and, depending on the values in society, can be harnessed for social upliftment or empowerment. Decolonisation fits appropriately in the third and fourth components of the curriculum, i.e. the epistemological realm where content and methodology together with relevance are key factors. Of the four components of the curriculum, participation and structure can be transformed without any reference to decolonisation; content and methodology as stated are contentious and relevance is a function of the three. It seems, therefore, that decolonisation is the focus of our presentation. Literature on either the transformation of education or the decolonisation of the curriculum is complicated by a number of authors of transformation and decolonisation treating education and the curriculum simultaneously, a tendency that renders it difficult to isolate the purely curricula variables from the general educational ones. For instance, while publications by Achille Mbembe on the Decolonisation of Knowledge and the Archive, Savo Heleta on Decolonisation of Higher Education, and Universities South Africa on Reflections on Higher education Transformation, address the main issues in the transformation of education, they are not necessarily curriculum specific. While education and the curriculum are closely related and operate in the same space, education is much broader than the curriculum. There are material variables in education for instance, funding which, although influential to the curriculum, operates independently of the ideological components such as the composition of the curriculum, i.e. content and culture. Transforming material variables does not necessarily transform the curriculum. Hence, education and the curriculum can-not be used interchangeably. Decolonisation of the curriculum entails doing away with those aspects of the curriculum that reflect a colonial culture and thinking in the production of knowledge, particularly those aspects which represent colonial prejudice against the colonised. It is the delinking of epistemology from the sociology of knowledge. While it is easy to state this in the abstract, in practice the distinction is inherently problematic essentially given that there are more commonalities than differences in the human race, despite the diversity in the cultures. On the other hand, contributions purportedly on curriculum specific issues tend to stop at the theoretical and philosophical stages without penetrating into the operational domain of the curriculum. For instance, while it is relatively easy to relate to a decolonised history curriculum in terms of substance, how does one decolonise the chemistry curriculum? The publication by Tabello Lesekha: “Revising the Debate on the Africanisation of Higher Education” falls within the domain of curriculum specific critiques. However, the intention in today’s presentation is not to critique Lesekha, I am only using him as a reference point of a curriculum-specific expose. What sheds more light on the topic in Lesekha’s publication is the unpacking of the concepts Africanisation, indigenisation and internationalisation. Lesekha cites Ramose who posits that “Africanisation embraces the understanding that ‘the African experience is not only the foundation of all forms of knowledge but also the source for the construction of that knowledge” (Lesekha: 2013: 1). Using this as a starting point, exponents of this African experience aver that the present curricula used in higher education are inappropriate to the African experience and need to be replaced by subject materials and teaching methods suitable to this experience. This presentation focusses on the curriculum as content and leaves out the general educational attributes for another discussion elsewhere. The assertion by proponents of decolonisation of the curriculum is that colonialism introduced a curriculum that undermined African values and conception of reality thereby enhancing the West as the author and generator of knowledge to the detriment of Africans. A further argument is that no people are a tabula rasa hence the introduction of any knowledge wherever produced occurs within a medium where the recipients of that knowledge have an own knowledge base in which constituents of the incoming knowledge are filtered. At the operational level for instance, Ubitaran D’Ambrosio, writing on ethno mathematics, asserts that there is a connection between mathematics and culture, therefore, including the historical and cultural dimension in the teaching of mathematics would enhance both comprehension and performance of pupils in mathematics. What I find contentious in this claim is that while there might be an interest in knowing the history of mathematics such as, for instance, that zero was discovered by an Indian mathematician, and that constructing the Egyptians pyramids entail highly complex mathematical computations, I find it hard to associate these findings with the capacity of present day pupils to manipulate the general quadratic equation. Denying that other than Europeans could have mathematical capabilities is a political and not an educational statement though admittedly it might adversely affect confidence at the broader level. The assertion in this presentation is that the starting point in the decolonisation discourse is failure by a significant number of participants in the debate to distinguish between epistemology as a tool in the production of knowledge and the sociology of knowledge as a paradigm of knowledge production wittingly or unwittingly. What compounds the problematic is the politico–ideological dimension in the discourse. The fundamental function of education is to propagate knowledge by inculcating a critical capability of understanding of content and context in order to utilise this acquisition or knowledge to solve problems of mankind, to instil a sense of purpose among participants and to generate new knowledge. However, both the content and the context are sometimes beyond our control, hence we teach and research that which is within our domain of control. For instance, globalisation may limit our manipulation of economics as a subject of instruction as some aspects of economics may be irrelevant at a given time simply because global economic forces may be moving in a particular direction. The same dilemma may exist with regard to engineering, law, medicine and other disciplines. Proponents of the decolonisation of the curriculum refer to a process of indigenisation where indigenous values experiences and artefacts constitute the basis of knowledge production. In the case of Africa this is referred to as Africanisation. These scholars agitate for the inclusion of local content in the curriculum on the rationale that what is presently in the curriculum is Eurocentric and reflects the worldview of white males as they dominate the academic fraternity. Admittedly in terms of interpretation this could be the case but would the ethnicity or social origin of the instructor change the substance? A glance into the areas of study leaves one with very little local content For instance, how does one localise anatomy, physiology, physics, chemistry, statistics, engineering and many others? The application of these disciplines is not an issue, what this presentation is contending is that substantively a majority of disciplines taught is neutral, and they can be applied to any area of human endeavour without any change in the substance as content. The philosophy of science as an epistemological tool is culturally neutral, changing the context in the interpretation does not affect the integrity of the science. Take for instance the pretensions of indigenous medicine in the era of HIV/AIDs, as South Africans would like to emphasise its significance. After more than two decades of attempts to include indigenous aspects in the treatment and containment of the virus, anti- retro-viral treatment remains and continues to be the only efficacious management of the disease. I once attended an indigenous knowledge session in health where both traditional healers and conventional medical personnel made presentations and was appalled by how traditional healers turned the session into a moaning demonstration protesting about not being recognised as competent practitioners by the medical fraternity. Limitations in the indigenous/ Africanisation debate are not only confined to the natural sciences, they extend into the social and human sciences as well, where they become contentious political constructs. For instance, besides using local encounters as examples of phenomena, and by local I am not limiting the discourse to African experiences, how would one temper with the substance of social theory? Take for instance Guhrr’s theory of relative deprivation, it would apply equally to African or European situations of collective violence against authority. Similarly, Leon Festinger’s theory of cognitive dissonance is applicable across cultures in instances of co-optation into any social or political system. Or for that matter, there is very little cultural in Marx’s theories of value and of alienation. The problem with the discourse on decolonisation is that it can assume major political proportions rather than contribute to the academy. Another weakness in indigenisation as presently constructed is that it has serious racial or ethnic overtones and this is a political act and not a sufficient condition for efficacy and merit in the curriculum. For instance, while the assigning of the teaching of Shakespeare to African or Indian teachers neither Africanises Shakespeare nor makes him Indian, it further does not necessarily enhance the analytical attributes in the teaching of literature. Alluding to this shortcoming Horsthemke posits that “radical indigenisation involves a ’back to the roots’ type of traditionalism and nationalism that are more often than not inspired by the colonial experience and the need for consolidation respectively’ with the danger that it might “produce a virulent form of the ‘ethnicisation’ of education, politics and the economy” Horsthemke, K: 2017: pp 1, 2). On the contrary, culture is not static, hence to relate the substantive aspect of the curriculum to cultural attributes is a fallacy. It is in this light that Makgoba’s assertion that “for the African university to be truly useful to Africa and the world it has to be grounded in African communities and cultures” (Makgoba and Seepe: 2004: 19: Quoted by Lesekha: 2013: 5), is contentious. Accepting the neutrality of the substantive part of the curriculum, tempering with examples and case studies noes not necessarily change the curriculum in substance. Besides ethno-mathematics which I regard as a highly strange and contentious concept, even in the humanities and the social sciences, there is little room to manoeuvre for a curriculum predicated on an ethnic experience conceptually, except that examples can be drawn easily from that experience. Still that would not change the essence of the concepts. In addition, adopting a radical Africanist version of the curriculum, assuming that it is academically possible to do that, risks the danger of insularity where tools for testing and applying the knowledge developed only exist in the African construction of reality and nowhere else. A sociology of knowledge is problematic irrespective of the source. 4 Epistemology or the Sociology of Knowledge? The discussion above concerns decolonisation at the purely epistemological level where fact and facticity are based on universally applicable laws of science. The problematic in this discourse lies where the sociology of knowledge parades as epistemology, and I maintain that the discussion above pitches at that level where the ethnic dominates. Lesekha cites Lebakeng et al who “argue for the revival of indigenous knowledge and maintain that the reversal of academic dependency can be achieved through an inscription of indigenous African epistemology” (Lesekha: Op Cit: 7). The sociology of knowledge is part of the indigenisation experience and historically when it came from the west it paraded as epistemology. I am reminded of my undergraduate years in the first course in anthropology, where a white female academic gave an example of a black woman wearing a necklace made of white beads as a protection of her migrant husband on the mines as a representation of fetishism. I retorted quickly: “Would the same go for the rosary?” “No” she responded, ‘the rosary is a Christian symbol of prayer”. Both the rosary and the necklace are made of beads, and both are worn in the belief that they possess some supernatural attributes. In other words the substance remains only the interpretations differ. The moral of the digression is that one can-not replace a sociology of knowledge with another and hope to cultivate a sound epistemology. What is evident from the literature on decolonisation of the curriculum is the anger reflected in the polemics, a deep sense of experiences of injustice from the politics of prejudice resulting in non-recognition and belittlement of the colonised. Consequently, politics and education are collapsed into one experience. This is not denying the great influence of politics in education, but what is generally overlooked is the separation of the distinctive variables even within a gestalt approach. The other problem lies the assumption that there could be a uniform African culture from which the building blocks of a decolonised curriculum could be manufactured, hence the phrase ‘African experience’ where “the African is the indigene: colonised, exploited, marginalised and historically excluded from the international mainstream” (Horsthemke, K: 2017: 5). Admittedly colonialism is the root cause of developments either in education or in the curriculum, however, it is not all the variables operating in education as a system are necessarily ipso facto curriculum variables; and even within the curriculum as the object of analysis, differences in disciplines and content render it difficult to generalise for all disciplines. 5.1 Constructing an African Epistemological Framework? If Africanisation and Indigenisation are not appropriate epistemological constructs (I use the concept epistemological constructs on the assertion that epistemology is neutral and can-not be attached to any nationality), the question is to enquire if an African epistemological framework is a possibility, essentially given what Horsthemke refers to as “the ever increasing transsemination, cross fertilisation and, importantly, the promotion of recognition tolerance and respect among human beings” (Horsthemke, A: 2017; 6). The polemics of Africanisation and indigenisation prompt critics to view the two positions as attempts to delink the curriculum from Eurocentric and Oriental elements. In this way the two are viewed as alienated with the radical version of each perceived as epistemologically problematic, as discussed in the above sections of this presentation. Lesekha suggests that the two concepts can contribute “as non-western systems of thought to theories and ideas” He refers to this process as endogenisation, “an intellectual standpoint derived from a rootedness in African conditions; a centring of African ontological discourses and experiences as the basis of one’s intellectual work” (Lesekha: 2013: Volume 8: 8: Citing Adessina : 2008: 135). The merit in this perspective is that it is a departure from the ‘centrisms (Afrocentrism and Eurocentrism) making an entry into the domains of multiculturality, interculturality and transculturality which are more syncretic and thus reflective of how the world of knowledge and ideas operates. While there might be problems with multiculturality and interculturality on the basis that they presuppose cultures as “separate discrete islands or self-contained spheres” Horsthemke, A: 2017: Citing Welsh: 2000), transculturality where cultures are “characterised by mixtures and permeations “that “cross traditional boundaries” transcends traditional conceptions. The question is how these lofty philosophical statements would translate into a practical curriculum. The response is through syncretism, a process of merging or assimilating several discrete traditions thus creating unity in otherwise diverse situations. Despite secrecy and myth, African medicine practised syncretism widely known as “ukucobelela” in the Nguni languages. A syncretic curriculum would preserve the universal as the core, say the epistemological which in the rationale of this presentation is the scientific neutral, and thus can-not be compromised, and take the local as indicator or indicators of the concept or operations. This is what one would call endogenisation through transculturality. The essence would be that this preserves the scientific universal thus maintaining the integrity of the knowledge while keeping the local in order to enhance the relevance. Going back in history, this is how Christianity assimilated or conquered the Roman Empire by keeping the message intact but adopting local symbols to be in synch with the local experiences. In this case Africa would be participating in the global production of knowledge as an equal partner. In conclusion, I attempted to show how the entire debate around decolonisation is first and foremost a political rather than a curriculum issue. The result is that the rationale is lost in the polemics. As Nomalanga states “One could probably deal with the content as context, the epistemology (including the methodology) does not change” (Nomalanga Mkhize: Seminar at the NIHSS Doctoral Workshop: 8 April: 2017). Problems of the western sociology of knowledge have led to a counter, a protest that could easily throw out the baby with the bath water. We need Shakespeare in order to decode western capitalism as much as we need Wally Soyinka to enter into the inner world of African communalism. Finally, most critics of western education tend to ignore the truism that epistemological autonomy, the capacity to practise ones intellectual craft is independent of the political space. If that were not so, there would not have been revolutions in history. 1 Higher Education Summit 15-17 October 2015: Reflections on Higher Education Transformation. 2 Kai Horsthemke: 2017: Transmission and Transformation in Higher Education; Indigenisation, Internationalism and Transculturality. Transformation in Higher Education. 3 L Le Grange: Decolonising the University Curriculum: South African Journal of Higher Education Volume 30 Number 2 2016 pp 1-12. 4 Lesekha Tabelo: 2013: Revisiting the Debate on Africanisation of Higher education: An Appeal for a Conceptual Shift. Journal of the Independent Institute of Education Volume 8 2013. 6 Savo Heleta: 2015: Decolonisation of Higher education: Dismantling Epistemic Violence and Eurocentrism in South Africa. Higher Education 2015. (Not intended as a full minute of proceedings, which is available in the presentations and reports from workshop groups, which is all documented). ‘Transformation’ is a very broad concept that encompasses a wide range of elements (including, for example, access to and affordability of education). ‘Decolonisation’, on the other hand, is but one aspect of transformation, and ‘Africanisation’ (or even ‘South-Africanisation’) appears to refer to issues of decolonisation that are germane to our continent and country. These are relatively new terms gaining currency in the South African socio-political landscape, brought into sharper focus by the “#FeesMustFall” student protests in 2015-16. The ‘curriculum’ narrowly defined refers to curriculum content, i.e. what is taught, whereas our (clinical) legal educational offering is so much broader than that. Just as important is how we teach and assess (methodology), who the teachers are, and who are the students. What does it mean to decolonise (clinical) legal education? What is the role of the law clinician in this? The workshop did not attempt to formulate a working definition of what it means to decolonise clinical legal education, nor has a definition of the term ‘decolonisation of education’ been widely accepted by scholars on the topic. The meaning of this very broad term appears to still be up for debate, but it has been suggested that to ‘decolonise’ is to dismantle the structures perceived to maintain inequality in institutions and society; inequality created by colonialism that continues into the present (Black Management Forum). These ‘structures’ in relation to legal education would presumably include the manner in which the educational offering is structured, and how knowledge itself is constructed, i.e. What is knowledge? How is it produced? Who is allowed to produce knowledge? (from Varni Moodley’s slides). We cannot teach in South Africa today to emulate Oxford & Harvard ‘through form and function’ (Brian Kamanzi), and will do so at our peril. At the outset it is important to acknowledge that South African legal educators have for many years sought to engage with our historical context so as to create more social awareness among ourselves and our students. The Constitution enjoins us to recognise the role of law in a changing society, which can cause South Africa to become more equitable for all. Law clinicians (and clinics) have played a leading role in law schools to enable students to confront their social contexts and the hard realities of poverty, limited access to justice, and much more. In this way law students have the opportunity to experience the potential contribution of the law to achieving social justice, much of which is made possible through the lived experiences of their clients – very far removed from an Oxbridge-style colonial legal education. Law clinicians should look for opportunities to promote the teaching of social justice throughout the LLB curriculum, for example in a staff research seminar on the topic. Therefore much of what appears to be encapsulated in the ideals of decolonisation is implicit in what law clinics already do and aspire to achieve (see, for example, the vision, mission and objectives of SAULCA, which have an extremely heavy social justice and access to justice emphasis). Thus arguably these terms are merely new labels for what law clinics have aspired to do for many years – labels that are heavily laden with socio-political significance at this point in the transformation of higher education and our broader society. Yet these achievements should not cause law clinicians to rest on our laurels. There is always more that can be done, including adaptation of current practices and the introduction of new ideas. Law clinicians must consistently seek to proactively respond to the ever-changing South African reality, in particular that of our students and the communities that we serve. It is difficult to imagine ways of decolonising subjects such as the law of succession. It is far easier to incorporate African jurisprudence, for example, in a course on legal philosophy; or customary / Muslim law in relation to marriage in the law of life partnerships (which would need to be region-specific). Yet the law is dynamic, it can be challenged, changed and therefore transformed (e.g. Stellenbosch Law Clinic litigation that brought about legislative reform in relation to emoluments attachment orders). The law is value-laden and far more than a set of indisputable prescripts, underpinned by constitutional values. The law clinic curriculum content is skills-based and therefore not easy to decolonise. We need to establish the essence of our discipline, and then teach that. Law clinics seek to develop thinking, ethical, value-driven lawyers who will be able to make a difference in practice. Our clinics have a social justice purpose, and aspire to inculcate values of social justice that will remain with their graduates throughout their careers. Yet we need to consider carefully whether there is any way in which we can contextualise (and thereby decolonise and Africanise) each skill that we teach (e.g. the use of overtly simple language, or even the relevant indigenous language, in letters to our clients). The sources of the law and writers that we quote should be consciously considered, as it is too easy to rely on western scholarship at the expense of African scholarship. The vast majority of civil disputes are resolved out of court, and clinics should not only practice alternative, less confrontational means of resolving disputes (e.g. mediation and negotiation) but should promote these methods in their teaching. These link with indigenous means of dispute resolution, rather than teaching on the assumption (as do most academics) that all disputes must be subjected to the adversarial system of our courts where there is invariably a winner and a loser, and which can be frightening and alienating for many litigants. Curriculum content is just one component of our educational offering. Extremely important too is how we teach (teaching method) and how we assess (which should be closely aligned to what and how we teach). There is much overlap, and it is not always easy to distinguish these concepts – SAULCA (previously AULAI) ran three important workshops on these three inter-related components of clinical legal education during 2002-2004. Law clinicians must be attentive to how we teach practical skills, which needs to be more humane and sensitive than the teaching of an academic subject. Culturally sensitive examples and simulations specific to our South African context should be used, for example in the teaching of consultation skills, with an acute awareness of demographic diversity in the student body and client base (race, culture, age, education, gender, sexual orientation, and more). We also need to be attentive to the way in which we assess and the criteria used to judge academic performance. Who are the teachers, and who are the students? Teachers quite correctly bring their own personal attributes and characteristics into the classroom, and so it really matters who the teachers are: their own world views, backgrounds and much more is naturally brought to bear in students’ educational experience. There are different ways of knowing, and of how students construct knowledge. It was suggested that law educators must confront their own assumptions of how knowledge is constructed and be mindful of their own theoretical approaches to learning. It is also important for staff to espouse and live up to constitutional values, and the critical importance of role modelling should not be underestimated. Law clinicians also need to consider the student body, which may represent a multitude of very diverse cultures and world views. It is important to be aware of and sensitive to students and their needs, and attempt to create an inclusive space for all students in their learning. It should be honestly acknowledged that this may be a much bigger challenge when there is a marked disjuncture between the background and world view of the teacher (e.g. ageing white male from a privileged background) and the student body (e.g. majority black females from disadvantaged backgrounds). The majority of participants fully support the slogan, save that it was pointed out that there are limited opportunities for clinical legal education in distance-learning institutions (e.g. Unisa). SAULCA’s vision is to be a professional and efficient organisation committed to the values of the South African Constitution and dedicated to promoting excellence in clinical legal education and access to justice. Likewise there was widespread support for the vision statement, with no suggested changes. It was noted that professionalism in law clinics has grown, and clinics are increasingly respected. Further, that clinicians must be mindful of the values that we seek to instil in the interests of the broader transformation imperative. There was also broad support for the mission statement in its current form. Clinics should try to find ways to reach the ‘missing middle’ (between the indigent and the wealthy), e.g. through ADR methods. “Foster, maintain and extend public confidence in the law, the administration of justice, and the values of the Constitution”. (a) It was agreed that financial and programme support is still relevant, and the nature and extent of such support was queried and clarified. (b) Some suggestions were made as to how SAULCA could assist law clinics to promote quality clinical legal education (e.g. distribution of good articles amongst members). (c) Likewise, some suggestions were made as to how SAULCA could assist law clinics in their access to justice work (e.g. sharing of information via social media, coordination of efforts at impact litigation). The current size of the Executive Committee was questioned – is 9 members too big? Some concern was expressed at the nomination process for the Executive Committee, as those nominated are not necessarily known by other members. Law clinicians’ teaching of professional responsibility and instilling of legal ethics in law students? The theory and philosophy of ethics should be taught by an appropriate academic (e.g. in a course such as jurisprudence), as law clinicians are not well placed to do so. Law clinicians should nonetheless know the theory, even if they are not teaching it themselves. The teaching of ethics should be embedded throughout the LLB programme, and the same should apply to the law clinic where students get exposed to ethical issues relating to practice. When ethical issues arise at the clinic they should be utilised as a ‘teaching moment’. It is essential that law clinicians lead by example, modelling good ethical practice in their work (e.g. building trust with magistrates and fellow practitioners, which has benefits for both the legal professional and his/her clients). Simulations are usually more effective in teaching ethics that the live client model, as ethical issues arise sporadically and unpredictably in practice. It was agreed that blended learning can be effectively utilised in the teaching of legal ethics and many other practical skills through a range of technological aids, including: an electronic platform dedicated to teaching; podcasted role plays (possibly made by students); completion of online test; assignments provided online; reference to American TV shows which raise ethical issues. It was acknowledged though that not all law students have access to computers and the internet. The challenges facing law clinics within the present university context, including #feesmustfall, transformation of institutions, staff, student demographics and curricula? Staff not able to get onto campus. Trust issues (e.g. students rejected clinicians as legal representatives, although clinic sees itself as having a role in representing students). Contrary view: are we going to represent the people who burnt down our building? Better to refer them elsewhere. Risk to clients: can we still operate? Do we need a strategy for responding to future protests? Security risks to students and staff. Increasing numbers are impacting the quality of the work. Contact sessions with students limited as numbers increase. Transport: some have 3 cars, others none. What follows is a list of examples of pro-active ideas aimed at giving substance to the notion of decolonising the law clinic curriculum, in an effort to ground this in practical application. Some of these are drawn from a South African Law Deans Association (SALDA) workshop on Decolonisation and Africanisation of Legal Education on 3 October 2016. (loosely arranged from broad to more specific). (a) Engaging with our historical context thoroughly so as to create more social awareness among ourselves and our students. (b) Challenging students with legal problems for which there is no model answer (e.g. arguing a case from more than one viewpoint). (c) Addressing tensions / disagreements between different legal interpretations of a particular law, doctrine or principle. (d) The role of law in changing society in order to make it more equitable for all. (e) Ensuring that subject content is not divorced from social context: that curriculum has a local (e.g. African) flavour / substance. (f) The role of indigenous law: does it contain solutions to modern-day dilemmas? (g) Acknowledging of colonial origins of law (e.g. Roman-Dutch in South Africa), but how can this be developed to respond to the local reality? (h) Emphasis on international courses (e.g. public international law, international trade law) which move the discourse way beyond domestic law and its colonial origins. (i) Use of technology and other pedagogical tools and interventions to transform the curriculum. (j) Ensuring that the writers and ideas covered in course materials emanate from diverse and local backgrounds in terms of race, gender and nationality (e.g. African scholarship) – that we don’t become ‘transfixed by the northern / western gaze’. (k) Ensuring that materials (e.g. facts for problem-solving) are attuned to local and global realities and current events: does the substantive content speak to students’ lived experiences? (l) Inviting visiting representatives from different cultural, religious and economic backgrounds to express their views. (m)Research tasks that address sensitive social issues such as HIV and AIDS, drug abuse and poverty that require inter-disciplinary research, and that emphasise matters of morality, policy and important social issues. (a) Enabling students to confront social realities such as poverty, limited access to justice, dysfunctional courts and systems (e.g. Master’s office), corruption in the public system, hate speech… to experience the potential contribution of the law to achieving social justice. (b) Debates on diversity and the social context to which law responds (e.g. while teaching consultation skills). (c) The use of simulations that enable students to ‘see themselves’ in the curriculum, based on students’ histories or lived experiences (e.g. defamation and facebook; lease issues). (d) The role of authentic learning (learning to be) in the development of professional legal identity – engaged learning from first year (if possible, though a big challenge) right through to final year (role play exercises, court visits, prison visits, law clinic). (e) Developing writing skills and the value of plain language in the Clinic context. (f) In regions where there is a dominant indigenous language (e.g. isiXhosa in the Eastern Cape, South Africa), the promotion of that language in study and law clinic practice, e.g. community legal education (in recognition of the fact that language, e.g. the English language, is not just a mode of communication, but a carrier of history, culture and even world view). (g) In divorce and family law cases, law clinicians can adopt a preventative/therapeutic approach by giving explicit consideration to the emotional or psychological well-being of the child. (h) Promotion of mediation (rather than litigation) and negotiation to minimise negative and promote positive effects on the wellbeing of those affected by the law. (i) Preventative lawyering, with a focus on proactively planning for and avoiding future disputes, and securing clients’ (or prospective clients’) legal rights (e.g. through community education / street law). (j) Promotion of a spirit of Ubuntu, social conscience, community service and sacrifice, rather than the pursuit of selfish ends (chiefly money). Ubuntu: envelops the key values of group solidarity, compassion, respect, human dignity, conformity to basic norms and collective unity; in its fundamental sense it denotes humanity and morality. From this list it can be seen that the Law Clinic provides fertile ground for addressing the need for decolonisation and transformation of the law curriculum.